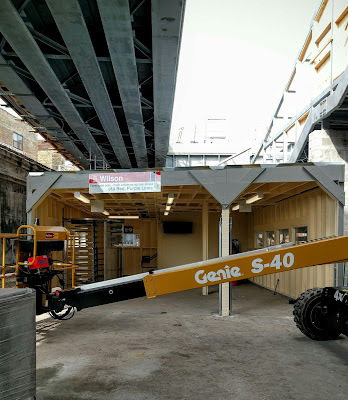 As work on the new Wilson L station proceeds at lightning speed, you can expect to start using one of the two temporary entrance/exits on each side of Wilson directly under the new tracks, likely sometime this month. The new tracks above will also go into service and the demolition of the remaining 100+ year old tracks will begin. Once we have an exact date of the opening, we will share it.